Liaison with Community Workers at Jabiru Community Youth Services, Koobara Kindergarten and local Primary Schools (QLD), ascertained that some children in the Zillmere, Taigum and Bracken Ridge communities were not adequately prepared for the potential challenges faced during the transition to prep and formal education settings. 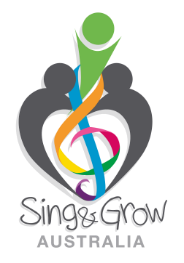 Building on the trial of a transition to prep program initiated by Jabiru the previous year, Sing&Grow was able to offer evidence-based early intervention for families with young children to support successful transitions to school. To learn more about this program, click here.